Expectations are half the delight! The traditional Christmas markets in Trøndelag provide the opportunity to discover the typical Norwegian Christmas spirit. With Christmas comes a lot of rituals that you often feel you have to go through to get in the right Christmas spirit, which for many means food and a good time. And Christmas traditions vary from culture to culture. Trøndelag’s largest Christmas market takes place in the heart of its 1000 year old regional capital Trondheim. The main square fills with old-fashioned stalls, local specialties and handcraft, and the giant lavvo (tipi) invites you with traditional local food and live music for a cosy stay. The focus is not on liquorice and candyfloss, but handcraft, baking and Christmas decorations made from old patterns and recipes. The Christmas market in Trondheim was rated by The Telegraph as one of the 16 best Christmas markets in Europe! Røros is another place you will discover strong traditions surrounding the Christmas market. When the historic mining town is covered in snow and the narrow streets are filled with stalls, it’s hard not get into the Christmas spirit. The air is filled with the sound of pleasant conversation (often in a variety of languages) about the high-quality goods. The local church, Berg stadens Ziir, hosts a concert every evening, while the activity in the streets lasts well into the night. 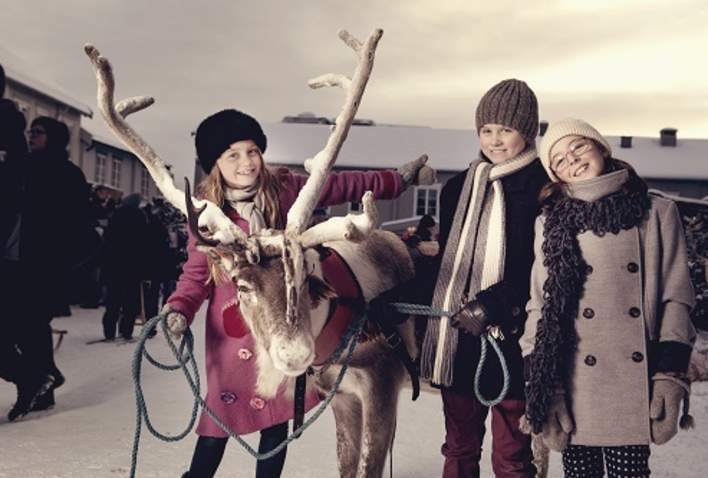 Combine your visit at the Christmas market with a dog, reindeer or horse sledding experience and relax in the new spa area at Røros hotel afterwards. Christmas at Sverresborg means there is a Christmas atmosphere in every nook and cranny. Sverresborg Folkemuseum is the country’s largest open-air museum and is located around the ruins of King Sverre’s castle. True to tradition, you are invited to the Christmas market the first weekend of advent. Sverresborg is decorated for Christmas with Christmas spirit in every corner.